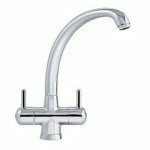 Franke Zurich Tap Valve SP3819 for the Cold Water side or Hot Water side of your Kitchen Tap. 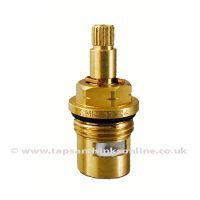 The SP3819 valve used in more recent models of the Franke Zurich Tap. 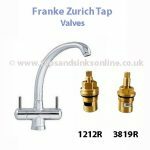 The previous Franke Zurich Tap valve is the SP1212 (aka 1212R) and you can find this valve here. 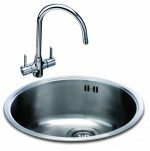 The manufacturers changed c.2013 from 1212R valve to 3819R valve. 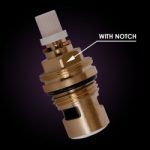 We would strongly recommend that if you do not know whether you have the 1212R Valve OR the 3819R valve in your Tap, order the 1212R Valve. 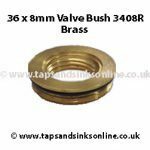 Reason being that if you originally had the 1212R valve and order the later valve 3819R your Tap might still drip as your Tap is designed for the earlier valve with a slightly thicker seal. The 1212R Valve works perfectly even if it turns out that you have the later 3819R Valve. 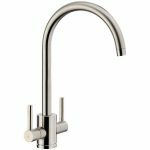 Here is the link to all our Franke Zurich Kitchen Tap Spare Parts. 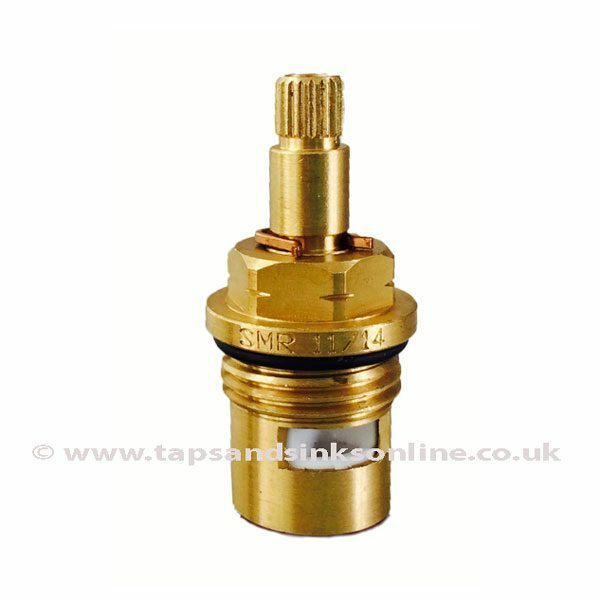 Brass Valve with ceramic discs :without thread. 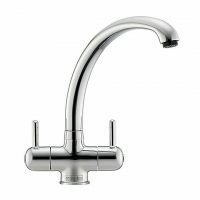 Measurements: Height 50mm / Diameter at thread 21mm / Splines 20.